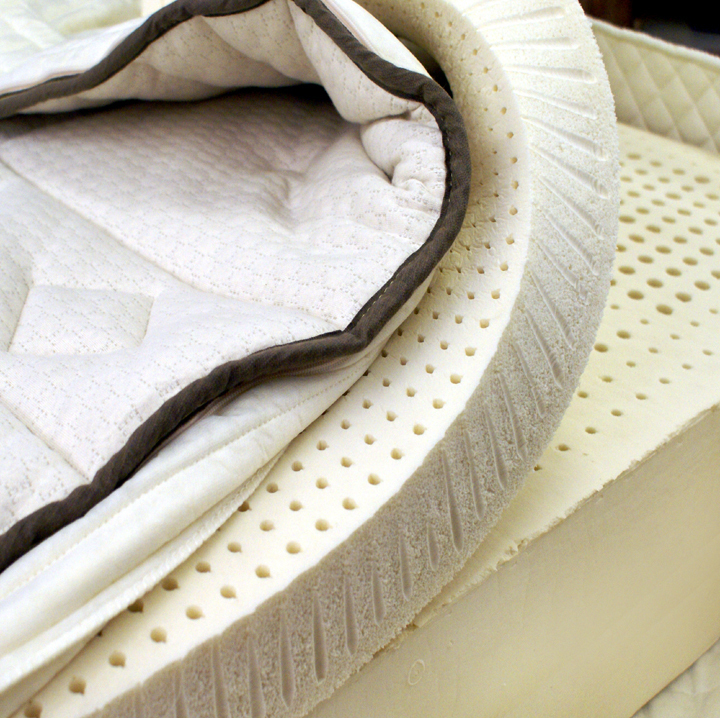 6" solid support core plus 3" customized layer made from 100% natural latex rubber (NO blends) covered with organic cotton stretch-knit matelasse fabric and quilted to therapeutic wool as a natural fire barrier (no FR chemicals). Our stretch knit allows you to feel the wonderful supportive recovery and contouring benefits of the latex. Our mattresses feature a zipper so you can easily change the comfort of your mattress (choose soft, medium or firm). Our natural latex comes from the beautiful island of Sri Lanka, known for the finest rubber in the world. Our latex is NOT blended (like most). It's 100% from the rubber tree with no fillers, foams or synthetics. COULD BE THE LAST BED YOU EVER BUY. We have a Five-Star approval rating from Shopper Approved, a third-party review site that monitors our customers overall satisfaction rate. With 25 years experience exclusively in the organic comfort industry, we'll share our knowledge to assist you, whether it's the first time selecting your mattress or ten years from now if you need to change the comfort. We stand behind our products and we'll always be there for you. 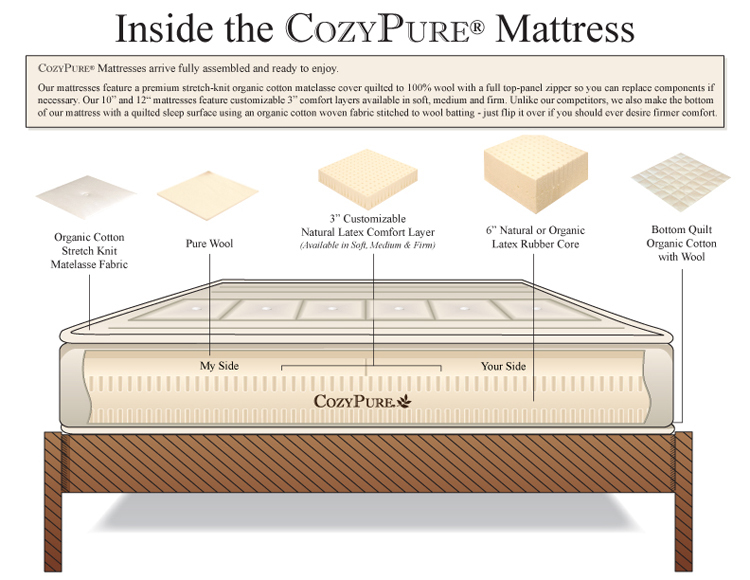 CozyPure Mattresses are designed to go directly on a platform slat bed frame or slat foundation. Our latex mattresses can also be used on adjustable bedframes. Quilt pattern may vary from photo shown. We use a total of 10" in materials (latex plus wool/cotton quilting). After compression and assembly, finished height of mattress is approximately 9.5" to 10.5" in height. Due to natural materials, exact dimensions are impossible to guarantee, and may vary slightly.